Quest has helped many Irish bakeries transform the way they make bread and serve hot and cold beverages in their coffee/ bakery shops. Magnetic descaling of oven and prover humidifier jets. Magnetic descaling of calorifier heating elements. Refrigeration electricity savings of 10-35% using Quest EndoCube. Fuel Savings of 10% on oil / gas fired ovens and other appliances. Fuel savings of 10% on diesel delivery vans are possible. These in-line and immersion devices for tank water storage lower the surface tension of water making your bakery water a better solvent or ‘Wetter’. This permits a more harmonious combination between the flour and the water, while allowing 2% more water into the dough. In addition the Grander Water has a weak magnetic imprint in it. This magnetic imprint helps to stimulate the single cells organisms like sourdough yeast and baker’s yeast. This makes the fermentation more vigorous and helps to breakdown the gluten in the dough more thoroughly. Tartine bakery: We have noticed a more vigorous fermentation which makes for a better bread with more taste. For more details on baking tests with Grander Water see our page Baking and Water. If chlorine is a disinfectant it will either kill or inhibit single celled organisms like sourdough yeast or baker’s yeast. Baker’s using Quest Filters can tell when the dough fermentation slows up as the filters begin to get exhausted, usually after a year’s use. So they ring Quest for a filter change out. Bacteria to 1 micron in size. Mains water in Ireland is dirty and it troubles us to see bakeries and food processors with no attempt at filtering their Bakery water or having some protective filter barrier when boil water notices are issued. Given the annual volume of water used by bakeries, filtration is a small cost to pay. Quest Magnetic Descaling of oven and prover humidifier jets. 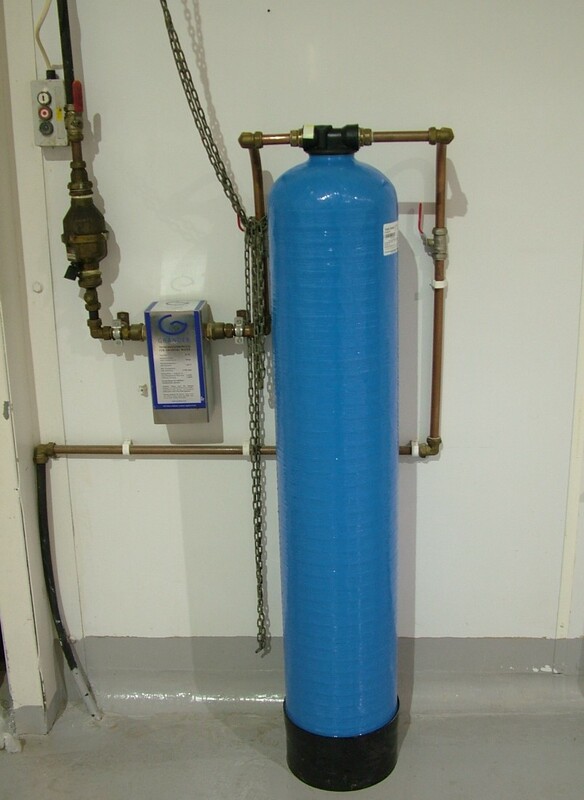 Salt based water softeners require maintenance and consumables. Most people don’t know that from day 1 these units are only ever 80% efficient. Magnetic descalers convert the offending hard scale into aragonite crystals that don’t stick to surfaces and that cause the existing scale to dissolve. Installed close to the heating element on the cold feed and fitted externally with cable ties. This is a simple yet effective way to control scale in bakery water. Quest Magnetic descaling of the hot water calorifier. It is important to protect a hot water calorifier heating element from scale build up, as it is more than likely that if the element bursts it will do this when you need the warm bakery water the most at mixing time. Using a Magnetic Water Conditioner on the cold feed into the Calorifier will cause existing scale to dissolve, Leaving the elements free to heat the water with no further scale build up. 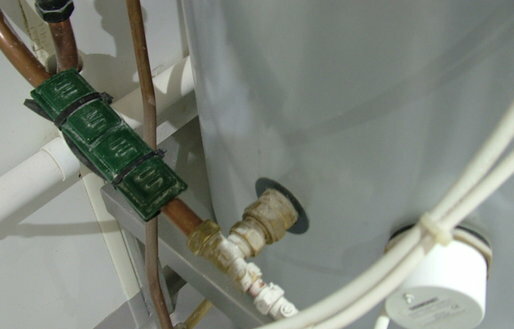 Magnetic Water Conditioners Require: No Power, No Mechanism, No Consumable Nor Maintenance and the products last a lifetime. They also prolong the longevity of ovens and reduce call out costs for over and prover maintenance. Refrigeration Electricity saving of 10-35 % using Quest EndoCube. The temperature sensor that controls the on/off cycles in the compressor motor could be costing you serious money. These sensors react to door openings and wide variations in ambient air temperature, so there needs to be a method of reducing this common cost. 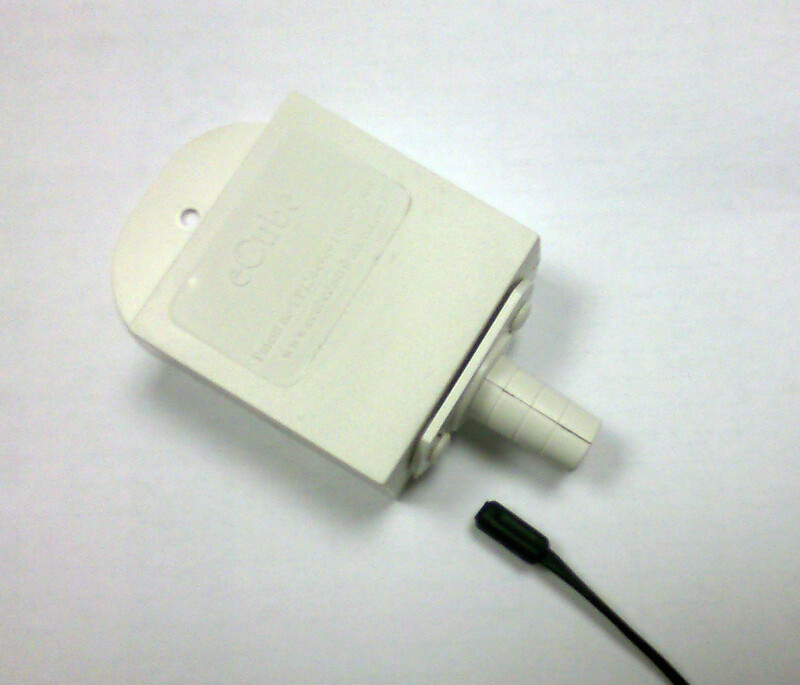 The Quest EndoCube is a match box sized plastic enclosure filled with a food Grade wax into which the temperature sensor is inserted and sealed from contact to the ambient air temperature changes. The success of the EndoCube is that it mimics the temperature of the chilled or frozen product which varies less in temperature and can result in savings of 20-35% in compressor motor start ups and the cost associated with that. The Birmingham NEC exhibition centre ordered 460 units off our UK suppliers in the April after recording savings on some trial units. Fuel saving of 10% on oil/ gas ovens and other appliances. Quest Magnetic Fuel Economisers make the fuel more receptive to oxygen, so that you get a hotter flame in the oven or boiler. This allows the thermostatic setting to be reached sooner. This is where you will make a saving of around 10%. The Economiser is fitted externally on the fuel pipe and held there with plastic ties. They last a lifetime with no maintenance and can be transferred to new equipment if required. Fuel Savings of 10 % on diesel delivery vans. This is possible when driver behaviour, load, road and weather are taken into consideration. Driving at excess speeds to make up time will lose the gain. That said, we do have customers with 10-17% savings. The economiser is fitted between the fuel filter and the common rail injectors and secured with cable ties. To benefits from these innovations it is best to contact Quest for a site survey before a quotation can be prepared for your consideration.